Work for Ernst & Young? Learning about Ernst & Young? One of our company's goals was to have our processes completed more quickly. The other consultants that we had used prior to going with E&Y were never able to finish anything on time. This has been remedied since we switched to E&Y. The staff that we work with is always friendly and polite and very knowledgeable. The consultants that they assign to us have changed a number of times, which has led to lost time for us. I would just be very clear with them about what your expectations are (not only in terms of your goals but also in terms of how you want them to work with you to achieve those goals). Aside from the issues that I already described, we have had a pretty good experience in that they are very thorough and make good recommendations. They also complete their work in a very timely manner, which has helped us with our efficiency. "Run, run as far as you can..."
The promise/claim they can solve all of your companies problems. They have the money to woo all the best VP's and C-levels. Sadly, they did not follow through with said promises to our company. they talk a good game, but failed to deliver (at least for us). We may be a unique experience, so your mileage may vary, but we will never use them as a 3rd party consulting company again. International Trade Compliance. We were looking to open the Asia-Pacific market and needed consultants to ease use through the process. What Financial Consulting solution do you use? 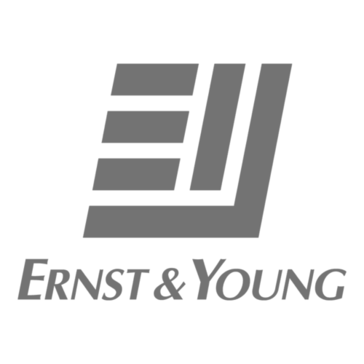 Ernst & Young is the most reasonable of the Big 4 firms and has always met my expectations. My biggest dislike is the same negative I have of all the Big 4 - E&Y is expensive, but the most reasonably priced. Get in touch with a local Partner you feel comfortable with. Don't feel bad about asking to meet with someone different if needed. "Strong tax, accounting, and financial advisory services"
The senior partners I've interacted with are very experienced and super-knowledgeable. Clearly experts in the relevant space -- esp as it relates to corporate valuation, international tax, etc. Fiserv is a global leader in financial services technology solutions that help clients to move and manage money with ease, speed and convenience. OnDeck is an online small business lender. It uses data aggregation and electronic payment technology to evaluate the financial health of small and medium sized businesses and efficiently deliver capital to a market underserved by banks. FTI Consulting is an independent global business advisory firm dedicated to helping organizations manage change, mitigate risk and resolve disputes: financial, legal, operational, political & regulatory, reputational and transactional. Voya Financial is a retirement, investment, and insurance firm that offers asset accumulation, asset protection and asset distribution products and services to individual, and institutional company. A&M is a professional services firm that delivers performance improvement, turnaround management and business advisory services to organizations seeking to transform operations, catapult growth and accelerate results through decisive action. FTI Consulting is a business advisory firm that specializes in the fields of corporate finance and restructuring, economic consulting, forensic and litigation consulting, strategic communications and technology to help organizations manage change, mitigate risk and resolve disputes: financial, legal, operational, political & regulatory, reputational and transactional. Oliver Wyman is a management consulting firm that combines deep industry knowledge with specialized expertise in strategy, operations, risk management, and organization transformation. BAI is a financial services agency that works to give leaders confidence to make smart business decisions. Bringing both strategy and execution, Concentrix brings a holistic approach to customer engagement and deploy capabilities and assets to enable improved revenue generation, customer experience and service optimization. * We monitor all Ernst & Young reviews to prevent fraudulent reviews and keep review quality high. We do not post reviews by company employees or direct competitors. Validated reviews require the user to submit a screenshot of the product containing their user ID, in order to verify a user is an actual user of the product. Hi there! Are you looking to implement a solution like Ernst & Young?